Email seems to be the great contact centre taboo. Everyone is doing it, but no one is talking about it. We recently carried out a survey to see how people were using email in the contact centre and we asked James Barnes to analyse the findings. The use of email is undoubtedly the contact centre era’s hidden secret. 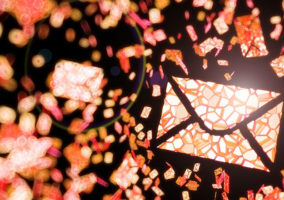 With all the focus on Twitter and Facebook, you’d be forgiven for assuming that the humble email was dead and redundant. But the chances are that your customer touch-point volumes show that social media constitutes much less than 1% of customer service resolutions. In point of fact, most customers use email as their final contact attempt prior to lapsing or reducing their spending patterns. Call Centre Helper has recently conducted an in-depth survey on customer service email usage. The survey spotlighted several important aspects of the industry’s email procedures, and the results were fascinating. To begin, it appears as if 38% of contact centres continue to manually allocate emails to their agents. Non-Smart Performance KPI – If advisors are not receiving a fair balance of email complaint types, it is a challenge to monitor performance fairly. After all, some complaints are more time-consuming than others. With manual selection, it is vitally important that QA pays great attention to the volume performance stats, and sets their targets in accordance with the email type. This usually involves an email account coding process, which can be difficult to implement. Avoidance – With manual selection, advisors may be tempted to select the easier emails to respond to, postponing the resolution of the more serious complaints. Again, this increases the risk of lapsed customers and repeat “chase-up” emails. Duplicate Searches – Without an integrated queuing system, it is more difficult for the management team to group together duplicates and repeat emails. This artificially increases the workload and potentially causes customer confusion. SLA –Without a queuing system, it is a challenge to manage expectation and focus management attention on backlogs. This may lead to unnecessary duplicate contacts by email, telephone or social media. Automated Responses for Missed SLAs – Without an appropriate queue-management solution, it is problematic to set customer expectations. If you’ve exceeded your SLA, you will be at risk of spiralling backlogs; chase-up emails really can create havoc. A quick and automated “We are still working on this and have not forgotten your complaint” email can stop further unwanted communications, allowing you to control your queues and keeping your customers happy and informed. It is, of course, easy to armchair-consult: to sit back and point out the failures of the email manual queuing process. Undoubtedly, management teams across the country have specified and even tendered for new solutions. But according to Call Centre Helper’s survey, 72% of email teams contain twenty or fewer advisors, so it appears many contact centres may be without the appropriate email solution support, as the return on investment equation is not proven. The use of templates and best practices for a written communication department often tend to generate heated debate. The question is whether the extra time taken to respond to customers on a bespoke basis can be justified to attain a greater standard of all-round quality. An additional challenge is the ever-changing style of customers’ communication; more and more customers are moving towards a more relaxed and fluid approach to contacting companies. Indeed, it is not uncommon to see smiley faces or text appreciations in customers’ emails. Mixed in with traditional and more formal written emails (quite often complaints) it is a greater challenge than ever to formulate a successful strategy and make all of your customers happy. Unfortunately, Charles Dickens is not on hand to handle our email correspondence. But this is no excuse to entrust robots with this undertaking. Happily, the survey results indicate that 85% of contact centres are attempting a form of flexible approach, blending template and bespoke emails into their processes. Our experiences have shown that agents who mirror their customers’ mood – whether over the telephone or in writing – are able to create an invaluable rapport, boosting retention levels and neutralising grievances even with the most difficult of customers. By allowing your agents the discretion to free-format in accordance with their caller’s disposition, you could lend your services that personal touch so sought after in this largely automated age. After all, what better way to connect with your customer base than by matching their telephone manner and sense of humour? Templates should therefore be designed to allow the incorporation of appropriate personalisation and free typing. The survey shows templates do have an important role to play. However, the focus now is on making sure the templates are appropriate, tailored and flexible enough to empower advisors to deliver a great and personal service. We can only hope that email system solutions will shortly become more affordable and focus more on practical and fully integrated solutions, bringing together all touch points and customer CRMs to bring more support and control to management teams. It is also advisable to review your supporting templates, adding options to match the customer’s style of communication and empowering the advisor to write in a more personal manner, build that crucial rapport so sought after in the modern contact centre. Interesting survey results! Let me add another survey result to complete the picture: The AVERAGE TIME FOR RESPONDING to an email amongst participants in the Bright Index benchmarking survey last year, was almost two days (13 hours), a situation an increasing number of customers just won’t accept. The question I would like to pose to Callcentrehelper readers is how come when most centres aim to answer calls within 20 seconds, do they on average have a target of 15 hours to respond to emails? Our industry is improving but with the volume of emails increasing faster, it seems like a major shift in mind set is required. Do you think it is down to old systems where e-mails are not handled in the same way as voice, or is it more down to the fact that emails are a more cumbersome form of communication when it comes to getting to the heart of a customer query? 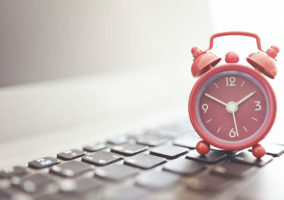 Or is it simply just a question of legacy and mind-set that customers calling a contact centre are waiting on average 86 seconds, but if they email they have to wait one and a half work days? I have been trying unsuccessfully to find a software to manage my e-mail inquiries. I only need to assign incoming e-mails to my staff, and oversee their correspondence. Anyone know of a simple software to do the above? 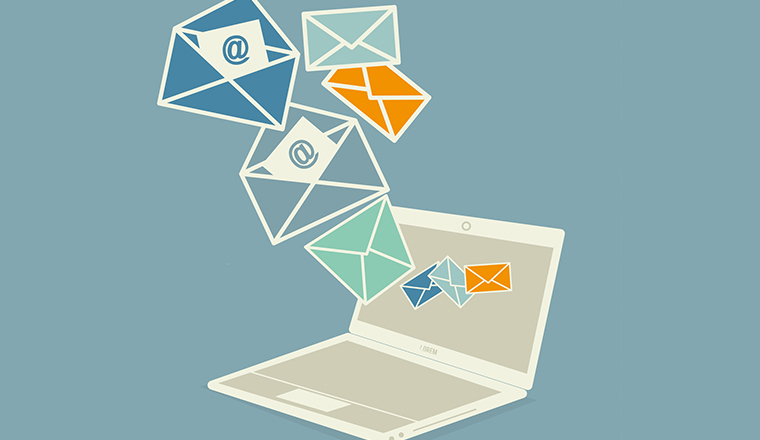 Trend Watching: What's Happening to Contact Centre Email?